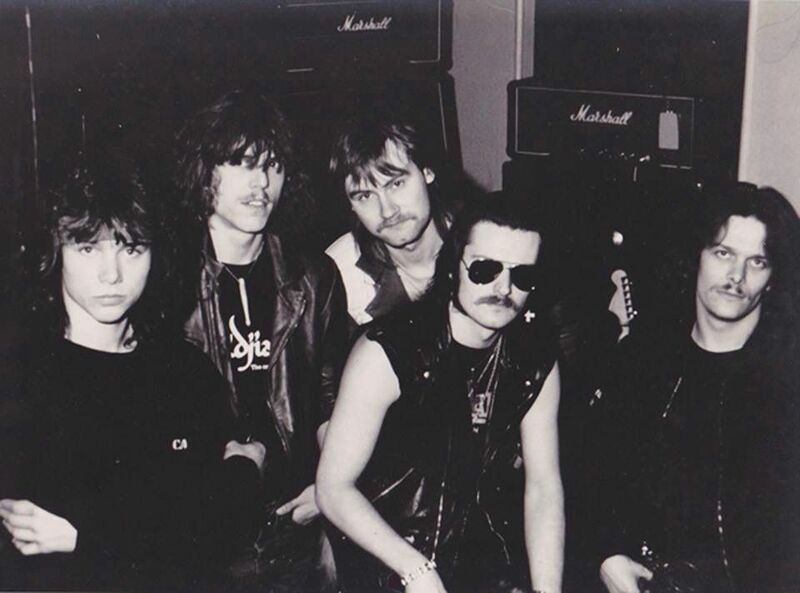 Mercyful Fate signed a new deal with Roadrunner Records in 1983 to make their first full length album “Melissa”, recorded and released that same year. In 1984 the band went back into the studio to record their legendary album “Don’t Break The Oath”, released on September 7th 1984. Soon after Mercyful Fate started a two month US Tour, which took them across the States several times, including sharing the stage with Motorhead and Exciter for the last part of the tour. The shows had created a brush fire within the metal community, and Mercyful Fate was now getting a lot of recognition. The year of 1984 ended with a 5 days tour in Germany, together with Motorhead, Girlschool, Helix and Talon. In April 1985 though, the band decided to part ways, for each to pursue new challenges. The King Diamond band was born and had huge success the following years with five studio album releases on Roadrunner Records. King Diamond has since signed with Metal Blade Records, and is going stronger than ever. The following years Mercyful Fate released another five studio albums and toured Europe, US and South America many times. The highlight of the year 1999 was their critically acclaimed “9” album, released on May 25th 1999. It was followed by a European tour with Metallica, where King and Hank several times joined them on stage performing the medley “Mercyful Fate” which Metallica had recorded on their “Garage Inc.” double tribute album, in 1998. A USA tour and touring in South America followed. The band has since been on hiatus. “Some day Mercyful Fate might come for you again”… says King Diamond.